Hosting a corporate event or company party and looking to impress? 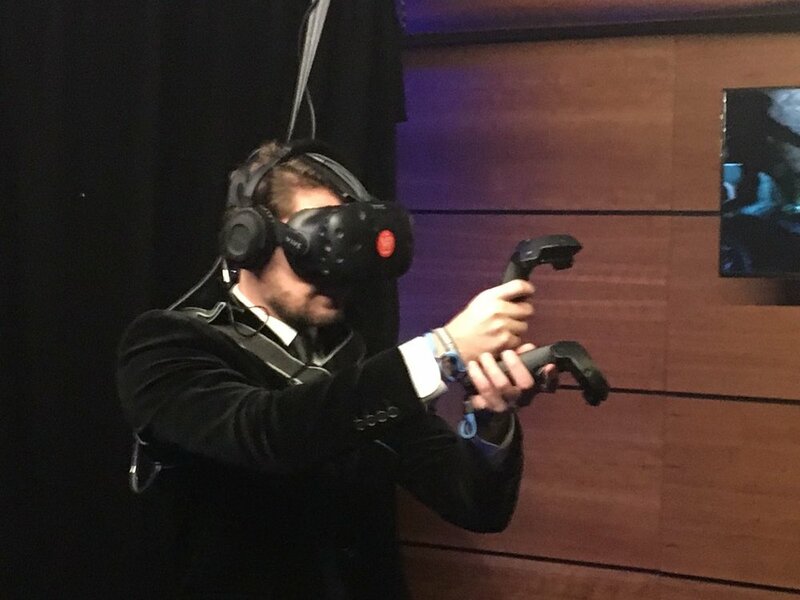 Surprise your guests with a social VR event at one of our exciting pub arcades. VR is simple, exciting and great fun to watch. IPG offers a range of exciting options carefully curated to give you the very best VR has to offer. Games include battling aliens, questing with swords and bows and even slicing through music with a pair of light sabers. On top of the VR, all our packages include additional entertainment including retro arcade games, crazy golf or racing (varies by location). We also have a great selection of food and drink options. Corporate Events, Team Socials, Receptions, Client and Networking Events, Key Live Corporate Sports Events and Product Showcases. We have been entrusted to host exclusive events for Shell, HTC, Ofcom, and NowTV among many other industry leading companies. How can we help you with your next event? Our packages are perfect for any occasion and we will find the one that suits your needs. We are also happy to remove the stress of planning the event and can help with tasks such as managing the guest list, any tickets and coordinating with the venue or other suppliers. IPG are specialists in VR installations. Our dedicated & highly trained team can set up and run single or multi-day events to bring cutting edge Virtual Experiences right to you. Our staff put 1000s of customers through VR every month at our in-pub installations, so they know the whole setup like the back of their hand. 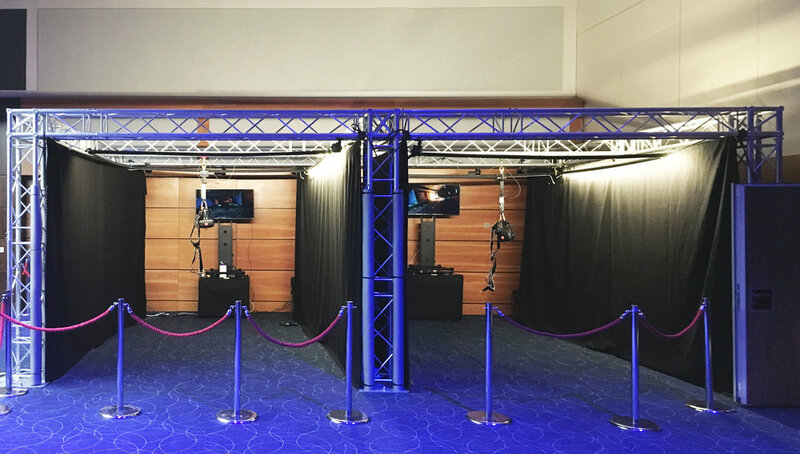 "The VR Concept [now IPG] provided a very professional and entertaining setup for our event, it was popular and drew a large crowd throughout the event. We were provided with several options when discussing our requirements and the VR Concept team worked with us to get it just right. They were self contained and professional and delivered and collected their setup exactly as they said they would, great team to deal with, would highly recommend." A standard indoor booth requires 4mx3m floor and 3m ceiling height, plus access to standard household plugs. If you are space constrained, we can do some dedicated experiences (e.g. walk the plank) in a smaller area, or even offer some seated experiences. None. We quote a turn-key solution, just give us an hour to set up and an hour to take down at the end and we take care of everything else. Yes! Of course we should spend a bit of time before your event making sure everything is working, but our PCs are top spec and should be able to churn through anything you care to throw at it. Take the stress out of demoing and let us handle the setup and staffing – freeing you up to talk to the clients. Yes! The British weather certainly brings its fair share of challenges, but our mobile rigs are designed to work outdoors too.